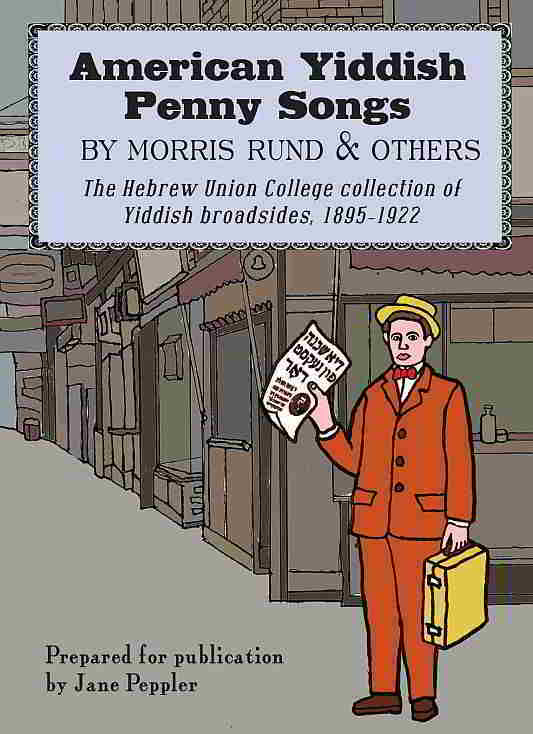 Morris Rund is a shadowy figure who wrote many Yiddish lyrics and melodies and copyrighted a staggering number of them. He was a baker and a street singer. This book is facsimiles of about 200 songs that were peddled on the streets of New York around the turn of the 20th century: their texts, and the advertisements on them, tell a delicious story of the culture of the time. 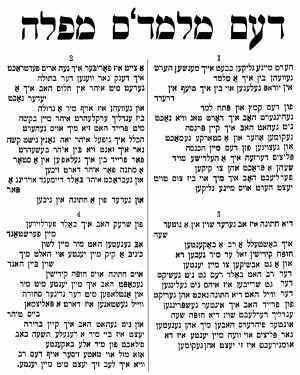 The book is entirely in Yiddish. Here is a sample song. The digital version of American Penny Songs costs $7. I will email you the 382-page book as a pdf file within a day. You can punch holes in the copies you make and put them in a loose-leaf binder, or you can take the pdf file to a local copy shop on a thumb drive and they can make you a back-to-back copy. Click here to purchase the download edition ($7). If you are ordering from within the United States I can sell the paperback edition to you directly at a discount: I order the book for you from Createspace (print-on-demand, they make them one at a time) and it will be mailed directly to you in a week or two. Click here to purchase Yiddish Songs from Warsaw directly from Amazon's CreateSpace for $15 plus shipping. 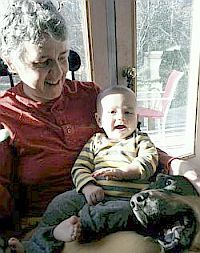 I am a Yiddish enthusiast living in Chapel Hill, North Carolina and have been writing books and recording cds since the 1980s. In the last few years I have translated three novels by the once-famous Yiddish novelist Jacob Dineson as well as many articles and, of course, songs. I gave a lecture/concert on my research at the Library of Congress in 2014 and at the American Jewish Library Jubilee in 2015. 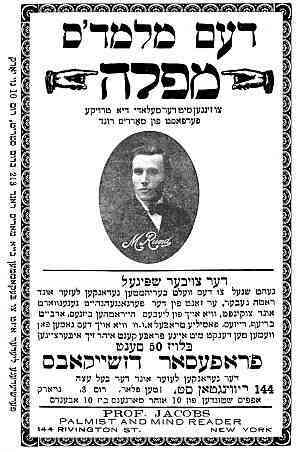 I won the grand prize in the second annual Der Yidisher Idol Yiddish song writing and performance competition in Mexico City.